This free grant program is open only to Ohio residents and is funded entirely by the state of Ohio. In order to be eligible for this grant program, a student must be enrolled in a degree seeking program for an Associate or first Bachelor Degree from an accredited facility. Also, the student must meet the Expected Family Contribution standards set forth by the Ohio Board of Regents. This is a grant program, and the funds do not have to be repaid. Students who complete the FAFSA will be automatically considered for OCOG eligibility, there is no separate application process. Student must be an Ohio resident. Student must be a U.S. Citizen intending to attend an institution located within the U.S.
Students who receive full ROTC scholarships are ineligible for this program. This program is open to students obtaining a first Bachelor Degree only. Students working toward an additional degree are ineligible for this program. The 2009 maximum grant amount was $1,008. Due to budgetary issues, this amount can and will fluctuate depending on the year. OCOG funds must be used entirely for the payment of tuition and related fees. If a student receives other award money with similar restrictions, the amount of either/both could be adjusted accordingly. This $2,000 scholarship is awarded based upon merit, to qualified applicants. Participating institutions will determine eligibility and awards. Students who complete the FAFSA and the school’s Financial Aid application will be automatically considered for OAS eligibility, there is no separate application process. Students must remain in good standing academically, as determined by the school they attend, to remain eligible for this scholarship. The current OAS amount is $2,000 for all eligible students. OAS funds may be used to cover and education related expenses. There are no specific restrictions for use. This scholarship program was developed to give financial assistance to academically qualified high school students who will be attending a university or college. Recipients who continue to meet eligibility criteria throughout their undergraduate students can renew the scholarship for up to four years of study. Students who meet academic performance criteria are nominated through their chartered Ohio high school guidance office. Students who exhibit excellent performance on the GED exam can also be eligible for this program. Students must be a high school student, in their final year of study. Students must have already received an acceptance letter from a college or university.The student may attend a different institution, however at least one letter must be submitted. Student must meet the following academic criteria: rank within the top 5% of their graduating class, maintain at least a 3.5 GPA, receive at least an 1150 combined SAT score or an ACT score of at least 25 or a GED score of at least 3550. Students are awarded up to $1,500 each year, renewable for four years if all required criteria are met. It should be noted that although this is a state managed program, the funding is dependent on federal education funding. The scholarship is designed to cover a percentage of educational expenses. The State of Ohio recognizes the contribution of students who had a parent killed or severely disabled during a time of war or military conflict. Full time students who are enrolled in a degree-seeking program, and who are under the age of 25 are eligible for this scholarship. Students interested in obtaining scholarship funds should contact the Ohio Board of Regents State Grant and Scholarships Department to submit application. Students can also inquire at their school’s financial aid office about the application process. The deadline for applying is July 1. Scholarship amounts will vary, and depend on the funds available. 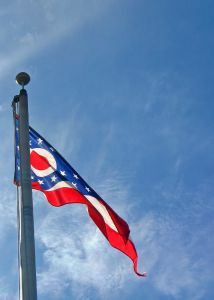 The State of Ohio recognizes the contribution of students who had a spouse or parent killed in the line of duty while serving the public as a peace officer, police officer, firefighter or member of the military and serving in Operation Iraqi Freedom. Students eligible for the Ohio War Orphans Scholarship are ineligible for this program. The scholarship is designed to reward academically talented high school students and GED recipients and is designed to assist with the payment of educational related expenses. This program was designed to give financial assistance in the form of scholarship funds for graduate studies, to students who exhibit excellent academic progress during their undergraduate studies. Students interested in obtaining scholarship funds must complete a separate application for the Regents Graduate/Professional Fellowship Program. Any student in their final year of undergraduate studies, who intends to directly enter a graduate program post-graduation may apply. Eligibility is determined by undergraduate grade point averages and student’s scores on graduate school entrance exams. The application for this program requires a written essay, in addition to the submission of all required documentation. Application for this program must be made during the student’s final year of undergraduate studies in order to be considered for funding. Fellowship amounts will vary, and depend on the funds available. Fellowship funds may be used to cover and education related expenses. There are no specific restrictions for use. Students interested in obtaining a degree in nursing at an Ohio institution of higher education may apply for this loan program that offers 100% loan cancellation for graduates who work as a nurse in Ohio, on a full-time basis, for at least five years. Students can complete the application through their school’s financial aid office. Student must attend an approved nursing program within the State of Ohio to be eligible. Eligibility is based on Expected Family Contribution calculations and is determined by the student’s school financial aid office. Most awards will be $1,500 per year of study. This loan program offers educational assistance for nursing students within the State of Ohio and proceeds can be utilized to cover any expenses of the student. If a student fails to work as a nurse within the State of Ohio for five years, the student will be required to repay loan proceeds upon graduation. I’m a 16 year old that was raised by my grandmother at 10 months old, my mother died when I was 13 years old I don’t know who my father. I would love to be a veterinarian one day. I am expressing my interest in a full grant for school books, housing, and tuition from any accredited college or program within Texas or Ohio. Or any college within my catergories within that scope. I am also applying for federal, government local, or state grants. Thank you for your time and I look forward from hearing from you very soon to fulfill my dream. I am a 18 year old, high school senior at Rossford high school, in Rossford, Ohio. I plan on majoring in business at Eastern Michigan University. I am expressing interest in the scholarship to pay for books and rooming. I would greatly appreciate the scholarship and would make the best of it. Hope to hear from you soon. I am a 17 year old junior who attends Cincinnati state technical and community college. My dad has been unemployed for about two years and my mom is unable to work. My baby sister, Scarlet Angel was born 2 years ago with a urinary tract infection. Since she required alot of medical attention and needed alot of medical equipment..our moneh has gone to her and her expenses. Im just seeking help to purchase my books that i need for my education. Hello, I am interested in a housing grant for college. I plan to get a four year degree. I just need some financial assistance. I attend Ginn Academy High school in Cleveland, Ohio. I had a difficult time concentrating due to possible divorce between my parents which I hope they do not do. This is not a sympathy request, but a desperate need. You can call me or my mom at 216 889 3328 or just email any information I can download. Thankyou very much.